World-renowned Belgian tenor Helmut Lotti makes a welcome return to South Africa. 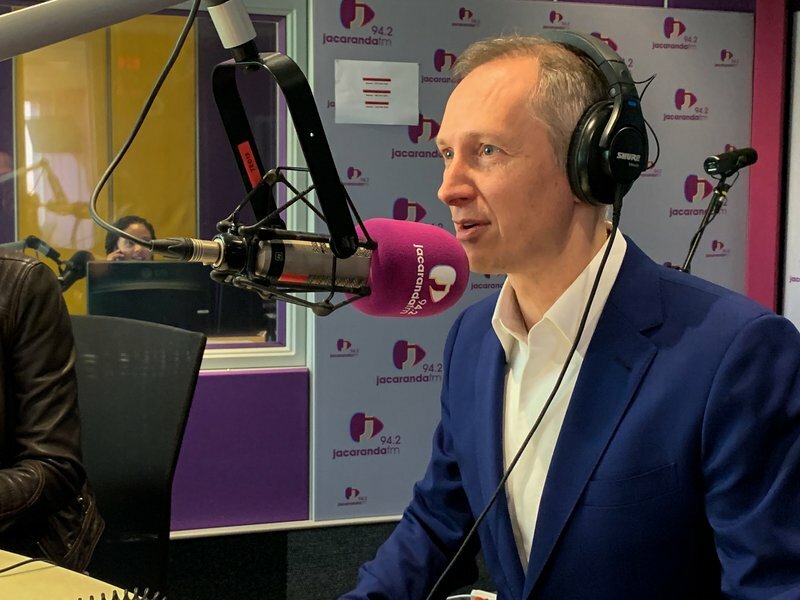 Helmut Lotti / Jacaranda FM. Helmut Lotti joined Breakfast with Martin Bester ahead of his ‘Comeback Concert’ at the Sun Arena at Time Square on Thursday. Lotti’s stellar career took off over 25 years ago, and along the way several duets with international superstars such as Andrea Bocelli, Sarah Brightman, Sir Cliff Richard, and Eros Ramazzoti helped him gain a massive fanbase all over the world. South African audiences are no exception, always welcoming him with open arms. Martin Bester and the team had a bit of fun with the seasoned singer and played a game of 'Guess the Song'. Martin, Liesl, and Elma hummed the melody of the song and Helmut had to guess it. Lotti also spoiled the team and the Breakfast with Martin Bester listeners with a special performance. Be sure not to delay in securing your tickets to see this legend live. Helmut Lotti performs at Sun Arena Time Square, Pretoria on 21 March 2019. Tickets from R375 at computicket.com.